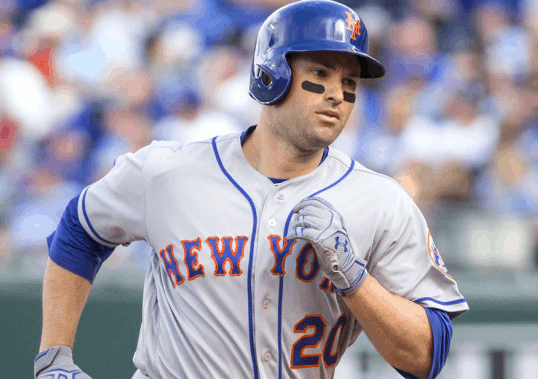 Walker is scheduled to make $17.2 million this season after accepting a qualifying offer from the Mets in November. He came to the Mets in a trade last offseason and ended up having the best season of his career. Despite missing the final month of the season with a back injury, Walker matched his career-high of 23 home runs, while posting a career-high OPS of .823. The fact that the Mets made Walker a qualifying offer indicate the team is confident his back is fine after undergoing surgery in September. In fact, the two sides reportedly discussed the possibility of a multi-year deal before Walker accepted the qualifying offer. When he arrived for the start of spring training, Walker mentioned that he was open to an extension with the team. Over the weekend, Alderson acknowledged that he had spoken with Walker’s representatives and expected to speak with Walker himself at some point, although he declined to elaborate further. Reports over the weekend suggested that the sides were discussing a three-year deal worth more than $40 million that would potentially erase the $17.2 million qualifying offer Walker accepted in November. During the past year, the Mets have been impressed with Walker’s leadership, as well as his offensive production. Also, after the team traded Dilson Herrera last summer to acquire Jay Bruce, the Mets have no obvious heir apparent at second base. It may also be pertinent to mention that Walker is a potential candidate to move to third base in the event David Wright’s back condition keeps him on the sidelines on a more permanent basis. Thus, the Mets have several reasons to keep Walker around long term. However, all that has now been put on hold, if not taken off the table completely. According to reports, Walker and the Mets disagreed on how to restructure his $17.2 million salary for 2017. The Mets would prefer to lower this year’s salary in exchange for more guaranteed money over the next three years, as it would help give them payroll flexibility in the short term. On the other hand, Walker may not want to lower his 2017 salary a significant amount after being promised $17.2 million by his qualifying offer. The fact that both Walker and the Mets were interested in an extension gives some hope that the two sides could renew talks at some point. But the Mets are not optimistic that will happen anytime soon. Without an extension, Walker is one season away from free agency, which should keep him motivated to have a big year in 2017. The Mets could certainly benefit from that in the short term, but not signing Walker to an extension does add some uncertainty to their infield in the long term.